The staff at AFP has over 40 years of experience in the leasing industry. We have seen leasing from all levels; business owner, vendor and financial institution. We understand the importance of every transaction. AFP provides one-call convenience. You will not get caught in a maze of voice mail systems – you will talk to a REAL person every time. We will get your transaction done and make sure that your customer is satisfied. 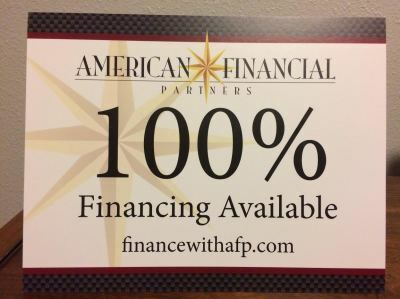 AFP will become your financial department. We want the partnership to be seamless and easy for everyone. We understand how to make that happen. We have the ability to offer flexible finance terms, special equipment programs, marketing and sales assistance, market specific research, and other consulting services. Our operations staff is among the most talented in the industry. This means QUICK turnaround time, fast and accurate communications with your customer (the FIRST time), and prolonged portfolio performance. We will track your customer’s lease transactions and notify you when the term is close to expiration. This provides your company with a huge repeat business channel. If you would like to talk with us directly about your financing options, please call888.237.4520 or email info@financewithafp.com.